The NBA finals ended in a somewhat predictable way given the first game of the series and the similar results over in the NHL. The Spurs wrapped up Game 1 with a 15-point victory at home. LeBron was the only Heat player to score over 20 points, though Wade and Bosh were not too far behind. The bench was abysmal, with the exception of Ray Allen’s 16 points. On the other side, the Spurs only had 1 underperformer, Kawhi Leonard, while the rest of the starters had at least 13 points and Ginobili added an 16 more points. 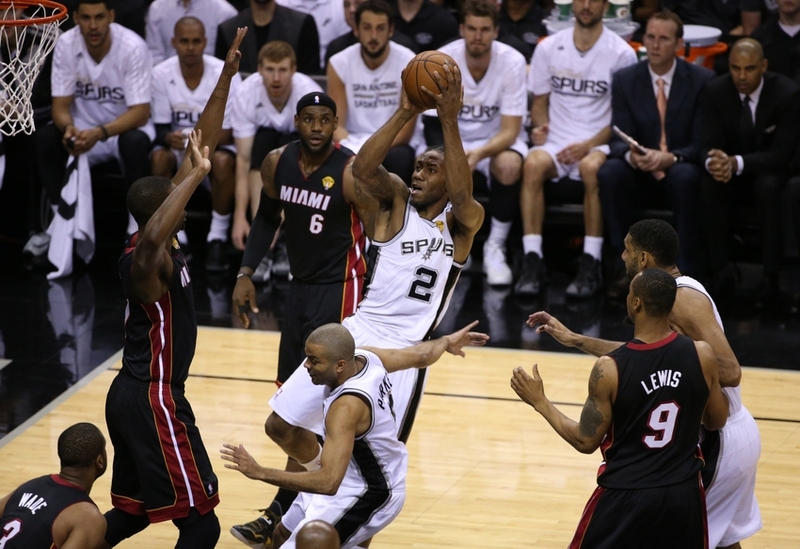 The Spurs out-rebounded Heat by 10 and had 14 more assists. The Heat also fell into foul trouble early. All of this was in addition to LeBron’s struggles with the lack of air-conditioning and early exit from exhaustion. That early exit had little to do with the actual end result of the game, as the Spurs really just surprised and outplayed the Heat at almost every aspect of the game. Moving forward, the rest of the games were mostly dominated by the Spurs, with the exception of close Heat win in Game 2. Specifically for the only Heat win, the 2-point victory came at the hands of LeBron’s 35 points and solid performances from Lewis, Bosh, and Wade. They were better with rebounding but still struggled breaking the defense and finding assist opportunities. The Spurs were a little more muted in this game, with the best performances coming from Duncan with 18, Ginobili with 19, and Parker with 21 points. Neither of the benches were that strong and the other starters were also a little weak. The rest of the games were essentially blowouts. While LeBron was still averaging about 28 PPG throughout the playoffs, his supporting cast was failing him. Wade was still a contributor but could not provide defense to save his life. Bosh was also involved but faded in and out. The reliance on the 3-point shot is still a bit of a mystery when considering that he was playing the PF-C spot and provided little rebounding and defensive support. Ray Allen seemed to still have some pep left off the bench but could not do enough to make up for the starter inconsistencies and he could not serve as a regular starter. Lewis disappeared in Games 4 and 5, but was able to help a little with the points through most of the other games. The point guard position has to be the biggest focus for the off-season. Wade cannot slide to that position anymore with his lack of the mobility he once showed off. Mario Chalmers and Norris Cole are not accurate and not the answer when playing against the best of the NBA. If the Heat want to return to and compete for another championship, they will need to find a point guard who can actually pick up assists and score from the arc when open. No bench meant no chance to win. As bad as the Heat were in comparison to their previous playoff series, the Spurs were really just that good. Duncan’s potentially final season was capped off with him being able to consistently be a top scorer without needing to move, jump, or seemingly try. Parker is just as fast as earlier in his career and was able to score at will throughout the series. Ginobili seemed to be able to score without issue from the arc and greatly boost the teams bench performance. Besides the big three, Kawhi Leonard has risen as a possible future star for the team. While his MVP status may have been a little hasty, his performances in the final three games was almost as impactful as LeBron’s for keeping the Heat in any contention. The rest of the bench was able to contribute just the right elements to help the blowout wins happen. Patty Mills likely is the future at the point and Danny Green has a chance to be a major player as well. Bosh should take a look at Splitter/Diaw to see how a successful center should play the position. 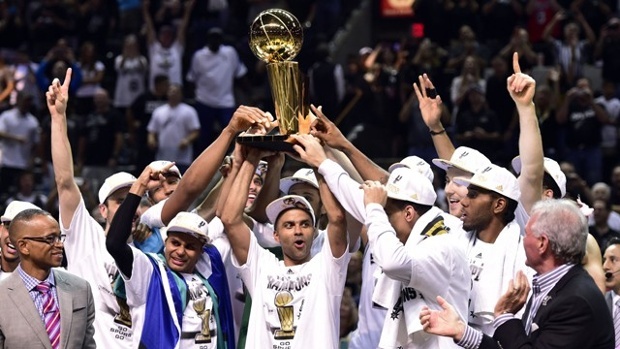 The Spurs earned that championship and no one should take that away from them. Ultimately, the conversation will still be about the Heat. While some will take a bit of time to talk about the Spurs and their formula or the pending retirements of some of the key players, but the future of LeBron and the coming Heat changes appear to be more interesting. There are already comparison of some of the NBA’s best in terms of their awards and honors, with Duncan being the closet in individual success compared to Michael Jordan, with LeBron falling short in the fourth spot. There is already a lot of pressure and hate against LeBron, and most of it is completely undeserved. There are times that he is a little arrogant or comes across a little boastful, but that is the life of a superstar. That life also knowingly incurs the hate from people who are jealous or just love to hate talent. If the Heat had anything to appreciate, it had to be LeBron’s performance. He tried to stay confident and tried to stay positive, but he proved his talent on the court. The team forced him to be more of a selfish player when they failed to be accurate as he passed off the ball. When the Heat fell quickly in the quarters that LeBron failed to score regularly, his supporting cast could not step it up. 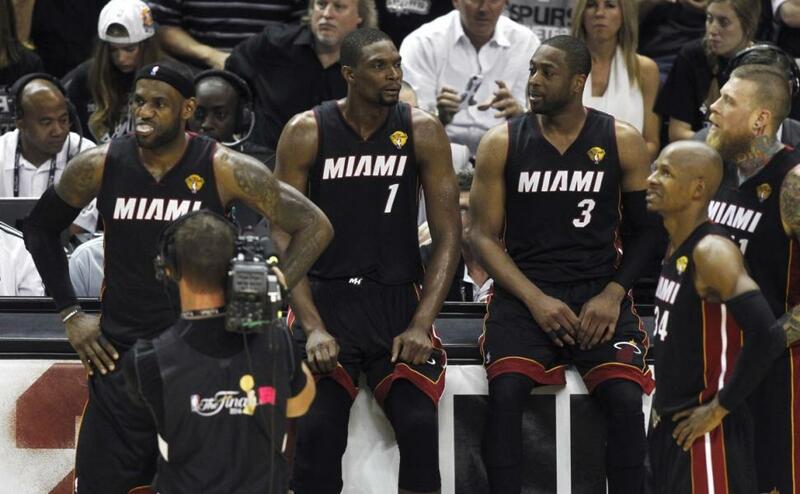 LeBron is the Heat’s future, or a team that can lure him away. If the Heat will fix their problems, it will be to replace either Wade or Bosh and fix the problems with the point guard. They could also use at least one more significant contributor from the bench. The Spurs can celebrate their 5th championship and figure out their future, but fans and analysts are likely going to overemphasize the future of LeBron and the Heat.